Many patients tell me, “Doc, I need my hands!” I’m glad they feel this way, because hands are my specialty and my passion. The term or job description “hand surgeon” means much more than just “a doctor who does surgery on hands”. In fact, this field of surgery has changed a lot over the past 60 years or so since it has evolved into a subspecialty practice area. Many of the first hand surgeons were general surgeons (performing all kinds of surgery) and orthopaedic surgeons. Hand surgery was first recognized as a separate specialty area of surgery after thousands of patients were treated in World War II for hand injuries sustained in combat. Today, a surgeon calling himself a “hand surgeon” may be an orthopaedic, plastic, or general surgeon. These three areas of surgery have their own organizations, their own certifying specialty boards, and surgeons may practice differently even within their own specialties. For example, some general surgeons who treat hands may also operate on gall bladders. Some plastic surgeons who treat hands may have a large cosmetic surgery practice. Today, most surgeons trained in hand surgery fellowships (an extra year of training in hand surgery) treat conditions affecting the fingertips to the shoulder. The professional organization for hand surgeons, the American Society for Surgery of the Hand (ASSH) also administers a test, called the Certificate of Added Qualification. Passing this exam is required for full membership in the ASSH. However, there are other levels of membership that do not require passing the exam. 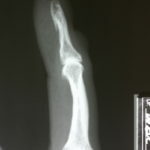 A patient with a stiff finger once told me about her injury to that finger, which happened many years ago. 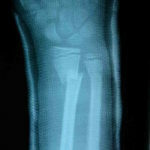 She said her family doctor told her, “well, you just have to let it heal – there’s nothing they can do for a finger”. Fortunately, that statement hasn’t been true for 60 years. Hand surgeons treat fingers and much more. Picking a hand surgeon is like picking any other doctor. Experience, passion, and a good reputation are all factors in the decision. No one wants to deal with a complex hand, wrist, or elbow problem, but if you have a hand surgeon in your area, take advantage of their expertise! Find out if there is a hand surgeon practicing near you by doing a Google search for hand surgeon city state, where you plug in your own city and state in Google’s search box. In my practice at Ozark Orthopaedics, we have three full-time, fellowship-trained hand surgeons on staff, ready to provide you with expert care. In the video below, you can learn about Olympian gymnast Paul Hamm’s hand injury and how a hand surgeon’s expertise helped him recover. 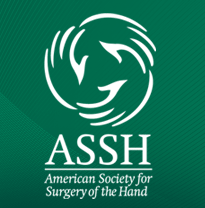 This video, produced by the American Society for Surgery of the Hand, is on the home page of this website. It will give you a more detailed answer to the question, what is a hand surgeon?